CLICK ON ANY PHOTO TO RETURN TO TOPOGRAPHIC MAP! 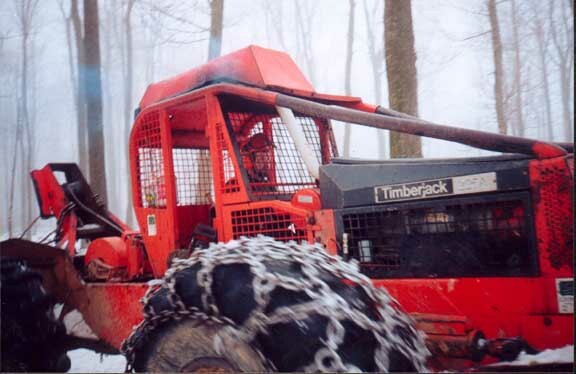 1) This site is designed to show the process of a logging job using modern technology. In this site you will learn a some important things about the logging that is being done in parts of western Pennsylvania. 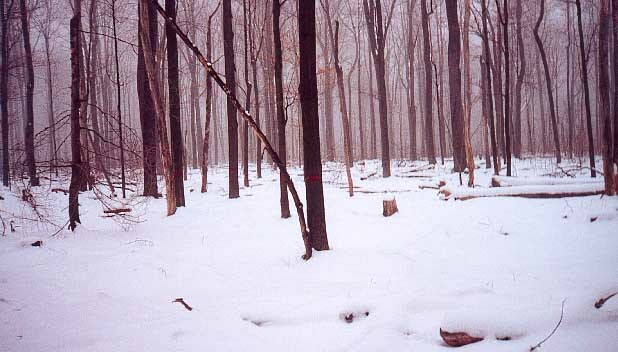 The logging that is being done east of Crosby, PA is being practiced under a Sustainable Forestry Inative program (SFI). 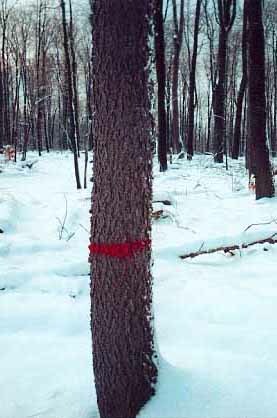 2) Under the SFI program a foresting crew of usually one or two foresters go through the job area that is to be cut,and they mark a certain amount of trees that are to stay,these trees are called "residual trees". 3) Residual trees are left for future seeding and they provide shelter for wildlife. The loggers must make sure that they do not damage the residual tress, because they are very important for the growth of the future forest.There are several other marked trees that the loggers must watch for, such as boundary markers for the selected area to be cut.